Moving isn’t most people’s idea of fun. Relocating from one residence to another takes time, effort, and money, and the process can be highly stressful. 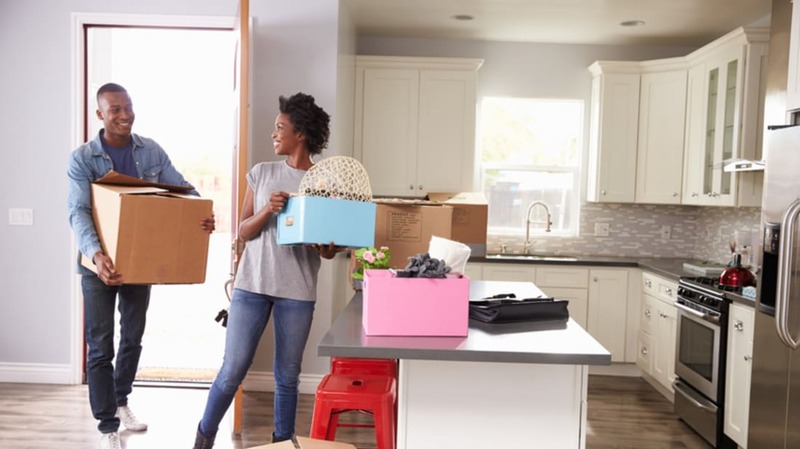 To make your next move easier and less emotionally charged, consider these eight common moving mistakes and how to avoid them. 1. YOU’RE A PROUD PACKRAT. Over the years, you’ve collected an impressive treasure trove of clothing, books, magazines, kitchen tools, and knick-knacks. You’re not quite in hoarding territory, but no one would ever call you a minimalist. And it took time to amass all your possessions, so why wouldn’t you move them to your next house? How to avoid it: Before you pack, spend a few days going through your home, identifying items that you haven’t used in the last year or two. Getting rid of unnecessary items is not only mentally liberating, but it can also save you money and time (since you’ll pay to move less stuff and spend less time packing and unpacking). Take photos of sentimental items that you no longer need, and donate or sell anything that you no longer want. 2. PROCRASTINATION IS YOUR MIDDLE NAME. You know that moving requires tons of planning, but you figure that things will come together quickly once you get started. After all, how long could it take to throw your stuff in some boxes and tape it all up? How to avoid it: Get started early. Relocating requires multiple steps, from choosing a moving company to preparing your possessions for moving day. Use a checklist, like Allstate’s Moving Guide, to ensure you don’t forget anything in the chaos and excitement. And if you’re moving during a busy time of year, such as spring or summer, you’ll probably need to book your moving company even further in advance. 3. YOU EQUATE DOING EVERYTHING YOURSELF WITH SAVING MONEY. You might think that renting a truck and convincing your friends to carry your stuff will save you a ton of cash. DIY-ing some moves can make sense financially, depending on the distance you’re moving and how much stuff you’re hauling, but most moves require the services of a professional moving company. How to avoid it: Consider what a reputable moving company offers that you can’t provide if you’re doing all the work yourself. Depending on your contract with the moving company, you may receive valuation protection, liability coverage, or some form of insurance, so you’ll be covered (at least partially) if your items get damaged or lost in transit. Moving companies may also provide packing services for delicate items or disassembly of large furniture. Moving across state lines also means that gas and parking costs will add up, and imagine the aches, muscle strains, and injuries that you can prevent by leaving the heavy lifting to the professionals. If you plan to sit back, relax, and write a check after you’ve picked the cheapest moving company, you’re being too trusting. Some moving companies may steal your possessions, be unreliable, or refuse to reimburse you for damage caused by the move. How to avoid it: Do your research. Read online reviews, consider advice from friends, and talk to different moving companies on the phone before deciding which company is right for you. Ask the moving company if they’re licensed and insured, and listen closely when they give you a nonbinding estimate. Read your contract carefully before you sign it, paying attention to extra fees, how much insurance the company has, and if the company has workers’ comp insurance. 5. YOU SKIMP ON THE BUBBLE WRAP. By the time you finally get around to boxing up fragile items such as plates and vases, you might be sick and tired of packing. Putting delicate glassware or china in some bubble wrap is better than nothing, but letting your laziness win is a big mistake. How to avoid it: Get plenty of bubble wrap, cushioning rolls, and tape to adequately cover your fragile items. It’s better to go slightly overboard with the padding so you don’t open your boxes in your new home and find shattered pieces of glass or ceramic. 6. YOU FORGET TO TAKE INVENTORY. You’ve packed all your stuff in boxes, taking care to bubble wrap delicate items and not make any one box too heavy. You think you’re good to go, until you realize that you have no idea what’s inside any of the boxes. How to avoid it: As you pack, make a list of what you’re putting in each box. Number the boxes and label their contents, as well as what room of your new house they should go, so you’ll have a grasp on where your stuff is. Making an inventory will save time when you unpack and help you ensure that the movers didn’t leave anything behind. Use an app like Allstate’s Digital Locker before your move, and you’ll have a list of your possessions on hand should you ever need to file a claim with your home insurance company. 7. YOU HAVE NO IDEA WHERE YOUR TOOTHBRUSH IS. So your boxes are properly labeled, and you’re feeling supremely organized and on top of things. But how will you get through your first few nights in your new residence, especially if you have to wait for utilities to be turned on? How to avoid it: Pack a suitcase that contains everything you’ll need for the first few days in your new home. Your toothbrush, toothpaste, cosmetics, toilet paper, soap, medicine, water bottles, snacks, pajamas, linens, laptop, and pet food are a few necessary items that you might forget you’ll need immediately. And don’t forget a pair of scissors—you’ll need them to actually open your boxes! 8. THE MAIL SLIPS YOUR MIND. You’ve notified your landlord and utility companies about your move-out date, but don’t forget about your mail. How to avoid it: Head to the post office’s website to fill out a change of address form. Select whether your move is permanent or temporary, choose your start date (when you want the post office to begin forwarding your mail), and enter your new address. Luckily, it only costs $1.05 for this service, and you can pay with a credit card.